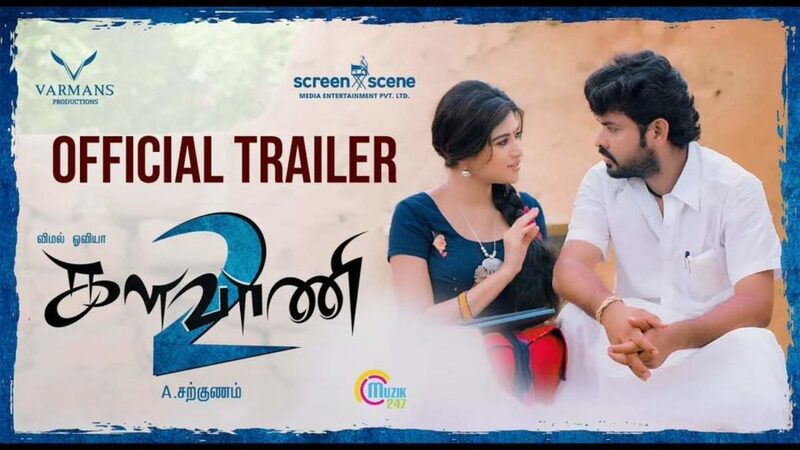 The official trailer of Sarkunam’s Kalavani 2 has released. This sequel to the 2010 sleeper hit, which was Oviya’s debut, stars Vimal, Oviya and Saranya Ponvannan once again in the lead. RJ Vigneshkanth replaces Soori as Vimal’s friend. 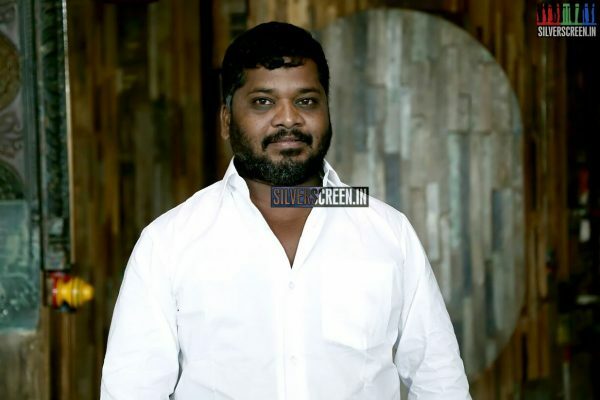 Ghibran is the music composer for the film. Cinematography is by Velraj, and editing by Raja Mohammed. Taking off from where we were left in the previous film, Vimal and Oviya are now leading a married life. Vimal, who was seen as the wayward son of Saranya Ponvannan, is just as off-track yet determined a person in the sequel. He decides to become a politician and contest elections with the philosophy that there’s no point being good, only thieving will give a politician hand. In what follows, we see him organise big functions and loud celebrations for his campaigns which only embarrasses his neighbours and loved ones. He prepares for the elections with a scissor as his symbol, possibly a reference to the functions he promises to inaugurate. Oviya is the only person who takes him seriously, and advises that he should call himself AMR, like NTR or MGR. The trailer takes a dig at politicians. And the film might be different from the other political entertainers which have been announced, like NGK or Dharma Prabhu, because even though no one, including Vimal’s mother or his side kicks takes him seriously, we see that he might win the elections. The film is written and directed by A Sarkunam, who made his debut with Kalavani and later directed Vaagai Sooda Vaa, Naiyaandi and other films. Kalavani 2 was announced in 2016, and faced issues when Sarkunam said that he would also be producing the film with the title K2, and the original producer Nazir objected saying he had the rights. The film was shelved temporarily, and the shooting for the film began once again with Oviya and Vimal in mid-2018. The filmmakers recently released the lyric video of ‘Ottaram Pannatha’ from the movie. A release date is expected soon.